Egress entrusted Reflect Digital as their digital marketing agency in 2012. Since then we have carried out a range of services including, branding, website design, video production, stand design, print design, creative marketing campaigns, PPC management and an award winning SEO campaign. Egress compete in the data security industry, a highly competitive industry. At the start of the SEO campaign Egress had a small amount of search engine visibility but did not rank on the first page for any important search phrases that were highly relevant to the business. 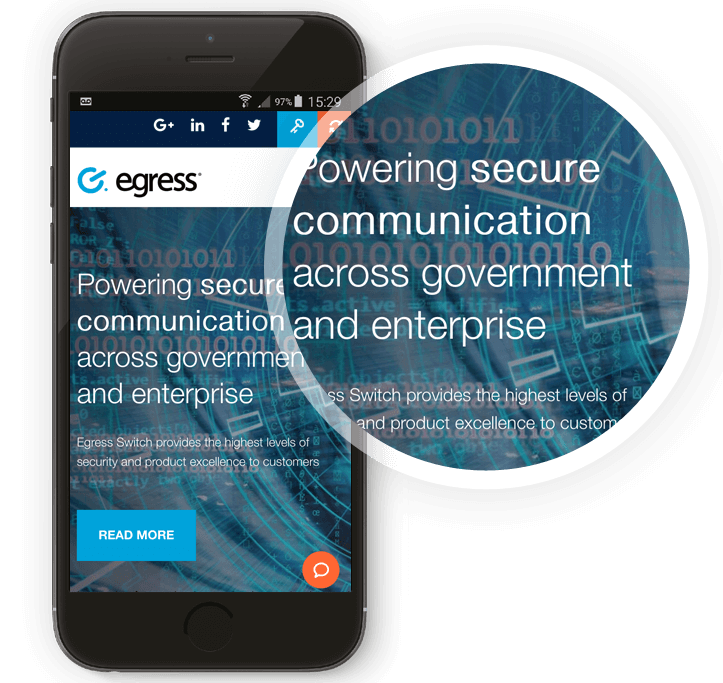 It was vital that Egress were found for competitive industry keywords as well as being recognised as thought leaders around email encryption and data security. Reflect Digital were the proud recipients of a Drum Search Award in the category for Best B2B Campaign in 2015 as a result of the remarkable results achieved through Egress’ SEO campaign. The campaign centered around increasing the authority of the website through improving and optimising the on-page content, creating natural links between relevant, high quality sites and through effective use of online PR. The use of innovative infographics also increased awareness of the brand and gave us important links from authority websites. The campaign fulfilled the brief to increase relevant, targeted traffic to the site and achieved first page rankings on Google with over 30 focus non-brand keywords ranking in top positions. 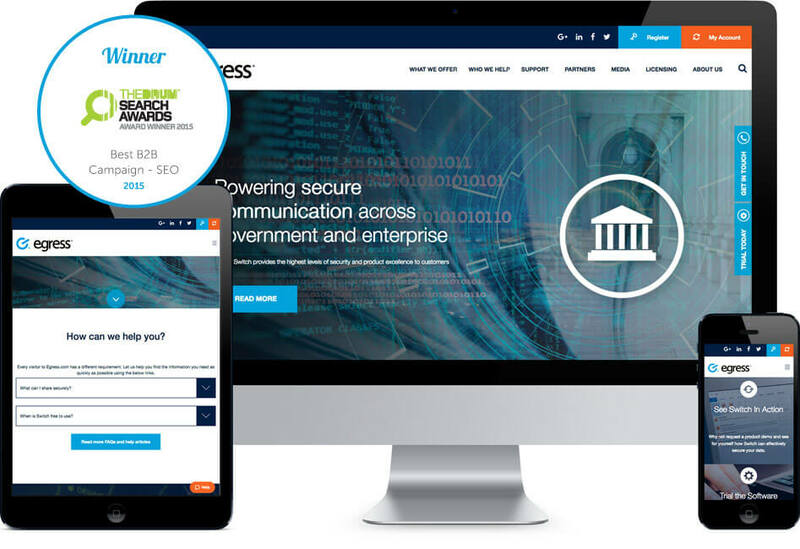 As a result of their increased online visibility, Egress saw an amazing 710% increase in organic traffic since the launch of the SEO campaign batting off tough competition with household brands such as PC World and Symantec for highly competitive terms such as “email encryption software”. The SEO strategy stayed in line with Google’s Webmaster Guidelines, never losing positions in face of an algorithm update. All aspects of best practice on-page & technical SEO, link building, creative content marketing and social media marketing have been considered to ensure KPI’s have been continuously achieved.